Michael Andrews shared with the other members of the so-called School of London an interest in the human figure and a profound distaste for academic naturalism. He studied under William Coldstream at the Slade School and was attracted by existentialist agnosticism, which for a time brought him close to the work of Francis Bacon and Alberto Giacometti and the writings of Kierkegaard. Soundly rooted in British figurative tradition, Andrews soon developed an interest in portraiture. 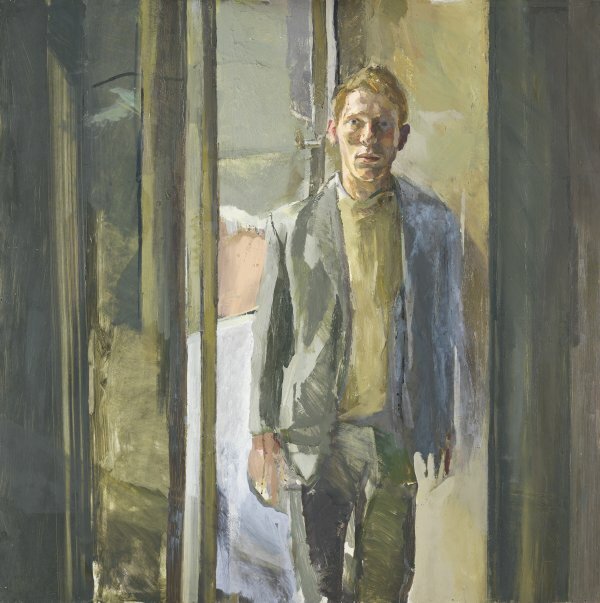 Executed in 1962, the Portrait of Timothy Behrens in the Museo Thyssen-Bornemisza collection depicts a young painter who for a time frequented the company of Bacon, Freud, Auerbach and Andrews, with whom he is shown in a photograph in a London restaurant in 1962, the year he posed for this painting. As in other early portraits by Andrews, the present work clearly bears the imprint of the painting of Francis Bacon, as evidenced by the loose technique and introspection of the sitter, isolated in the middle of the composition. 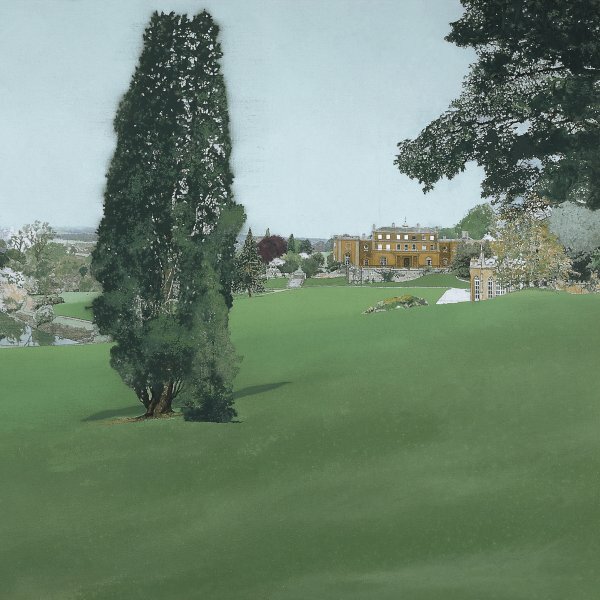 However, although Andrews was impressed by the emotion aroused by viewing Bacon’s works, which, in his own words, make “you feel someone is in the room with you, ” he was much more restrained as a painter and was not prone to Bacon’s frenzied outbursts of emotion.